The lion walks alone in the forest until he comes across a lonely hippo. 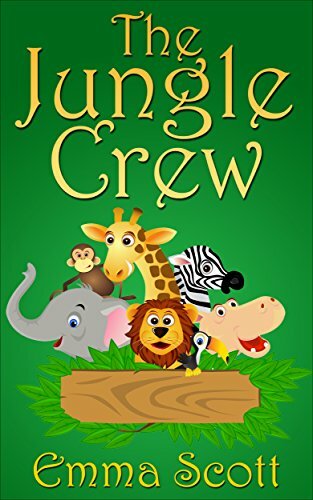 The two become friends and the journey continue as new animals like a giraffe, elephant, toucan, zebra, and monkey eventually join in the fun. Each of the animals brings a new character trait or talent like humor, brains, loyalty, and generosity to the group. The animals bring out the best in one another. While the illustrations are simple and rather stylized, the rhymes are crisp and sharp. Counting skills are reinforced as each new animal is introduced. I would recommend this book as a bedtime story or fun read-aloud for children ages two through five.